There's huge appetite for major change in Ontario. And a Harvard-educated daughter of a former prime minister and a three-time PC leadership candidate and former MPP are not exactly anti-establishment choices. In an era defined by President Donald Trump, and Brexit, and Europeans suddenly embracing once-fringe right-wing parties, it's fairly obvious that there is an appetite for change — a shift from big-government establishment status quo — among voters across the West. Even in Liberal-red Ontario, which has been controlled by the McGuinty/Wynne government for the last decade-and-a-half, there are clear signs of fatigue. That doesn't mean the province is ready to elect its own version of the National Front, of course, but there are signs it's hungry for something new. Last month, aggregate polling showed the Liberals trailing by about 10 percentage points. And now, despite the PC leadership up in the air, the Progressive Conservatives still have a slight advantage over the Liberals. This is to say nothing of Premier Kathleen Wynne's personal approval ratings, which remain barely above 20 per cent in the most favourable polls. So obviously, the PCs are well-placed to deliver the change for which the province seems eager. And the person who might be best positioned to deliver that win for the party? Doug Ford. 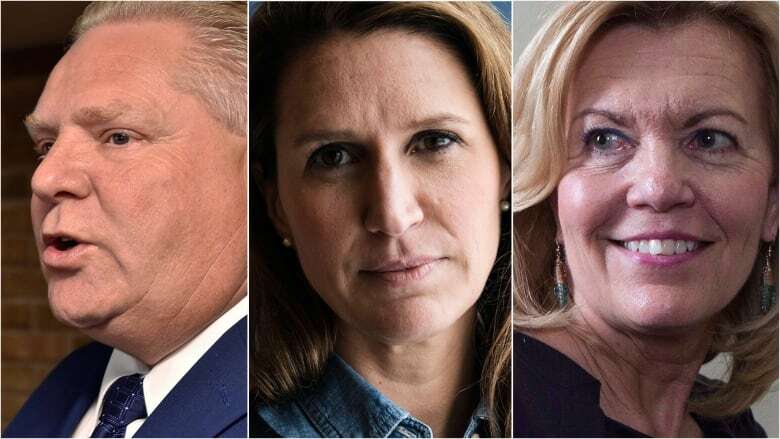 Following Patrick Brown's sudden resignation as party leader, the Progressive Conservative establishment has largely divided itself between two candidates: Caroline Mulroney for those seeking a fresh face, and Christine Elliott, for those keen on a trusted, familiar figure. But a Harvard-educated daughter of a former prime minister and a three-time PC leadership candidate and former MPP are not exactly anti-establishment choices. Elliott was given a plum appointment by the Wynne government as the patient ombudsman of Ontario, a position she just left in order to run in the PC leadership race. Should she win the leadership, she'll be in the awkward position of criticizing a government for which she very recently worked. Mulroney, a first-time politician, is easy to dismiss as out of touch with the average Ontarian, and might come off as entitled by gunning for the party leadership, and ultimately the premiership, after little more than a few months in politics. Granted, Doug Ford is himself affluent and a former politician, but he has the gift of somehow still managing to resonate with everyday folk. Indeed, he is a plain-speaking and brash businessman who doesn't come off as rich and entitled. For all of Ford's flaws, his detractors would be unwise to underestimate him. Take his recent appearance on TVO's Political Blind Date, where he spent the day discussing transportation with then-NDP MPP and now-federal NDP leader Jagmeet Singh (and even coming to the conclusion that bike lanes and LRTs aren't all bad!). The episode revealed a more refined politician than the bombastic Ford of the past – one who might appeal to more moderate conservatives, along with his Ford Nation base, of course. Ford also has an opportunity to win back fiscal conservatives — many of whom were disillusioned with Brown — with his position on carbon taxes. 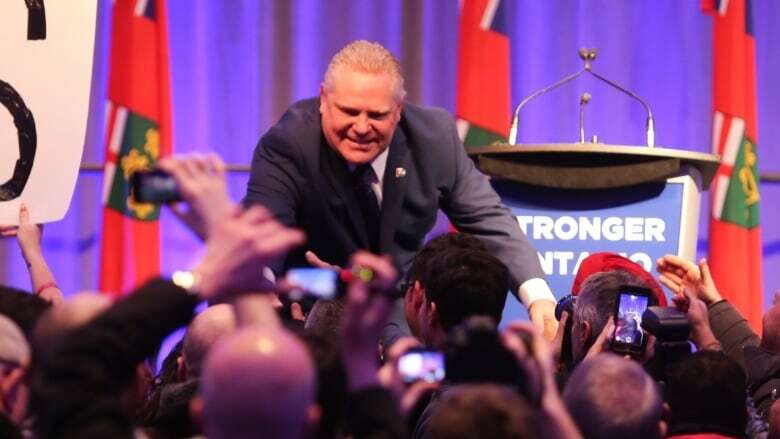 At his kickoff rally last Saturday, Ford declared unequivocally that he would scrap any carbon tax and vowed to fight the Trudeau government's efforts to impose it on the province. Many will dismiss this as an empty promise, but Saskatchewan Premier Scott Moe has also rejected the federal carbon tax, and the pair will undoubtedly be joined by Jason Kenney should his United Conservative Party win next year's election. In any case, Ford's opponents haven't been so forthright. Both Elliott and Mulroney told the National Post's Chris Selley they're personally against carbon taxes, but as of the time of writing, they haven't actually gone so far as to commit to scrapping a carbon tax. Ford has also said he'll find "efficiencies" to cut down budget spending by at least two per cent. While policy wonks will no doubt be frustrated by Ford's vagueness, it just might be the best way to sell austerity in a cuts-averse province like Ontario. A seasoned politician like Elliott might not be able to get away without offering specifics – nor would an experienced businesswoman like Mulroney, for that matter. But Ford? That's just Ford being Ford. And it just might work. But most importantly to the PCs' success, Ford has the all-important name recognition and strength in the GTA, the crucial battleground area for any party planning to form a majority government. With a folksy image, political and business acumen and well-established voting base — especially in the ethnically diverse 905 — Ford might just convince enough PC members, and ultimately disaffected Ontarians as whole, that he's the type of course correction necessary to fix Ontario. As recent events all over the world have shown, it's foolish to count out the populist choice when citizens are fed up with the status quo. 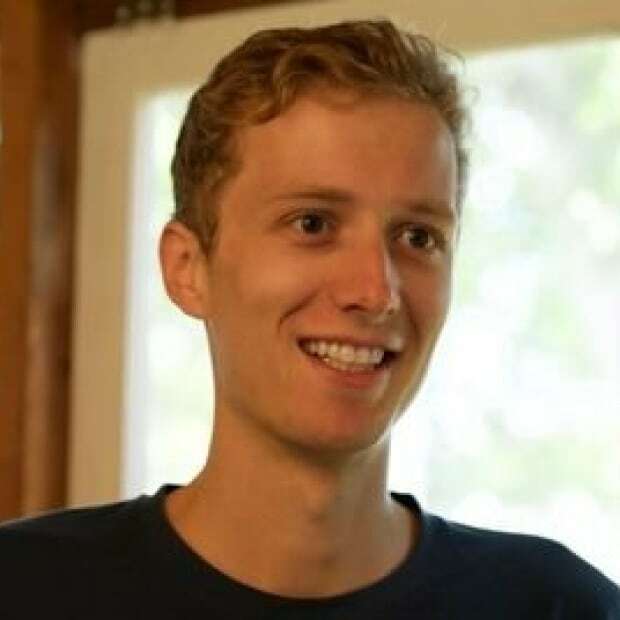 Graeme Gordon is a freelance journalist writing for Loonie Politics and his blog, Raving Canuck.